The Xplor team identified an issue where some parents were unable to generate parent statements for future weeks where the service billed in advance. 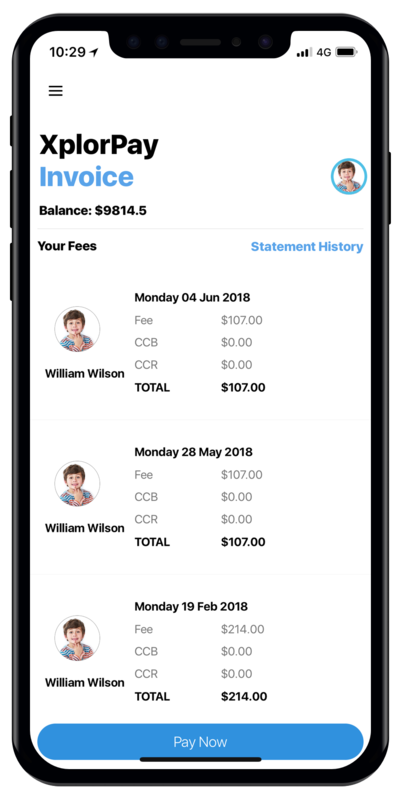 This issue has since been resolved and the parent statement date picker has been altered to select the statement period that the parent is billed upon by default. Xplor has enhanced the parent mobile statement experience to match the view they see in the parent web portal. 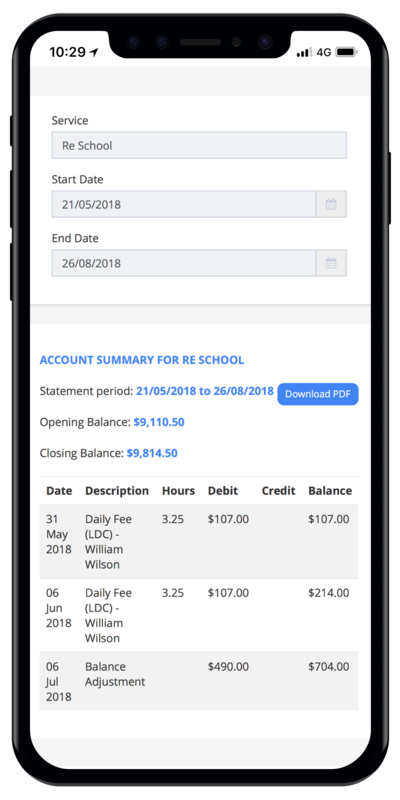 Upon clicking on the 'statement history' button under Payments in the mobile application, parents are now directed to a web-based screen where they can choose to download (currently on iOS only) or email the statement PDF for a date range. The previous merged accounts report has now been enhanced to include CCS Subsidy payments and also align with the updated Xplor statement style. The merged accounts report now also only shows accounts that have children in multiple services and pre-selects the correct services for users. The Xplor team is working to bring enhanced and more robust reporting to our range of financial reports. The team is working hard to bring new CCS features to Xplor. Keep your eyes on our release notes for upcoming changes to CCS.